Radar Online reports that Apple CEO Steve Jobs was sighted at the Stanford Cancer Center where he is presumably receiving ongoing medical treatment. RadarOnline.com has confirmed Jobs, 55, has been attending the Stanford Cancer Center in Palo Alto, California, where Swayze sought radical chemotherapy for pancreatic cancer before his death in September, 2009. Photos of Jobs are to be published in U.S. tabloid The National Enquirer. The sighting and photos have generated concern and provoking headlines from various publications suggesting that Jobs is worse off than expected. All the speculation appears to be based on the photos in which Jobs apparently looks particularly frail. 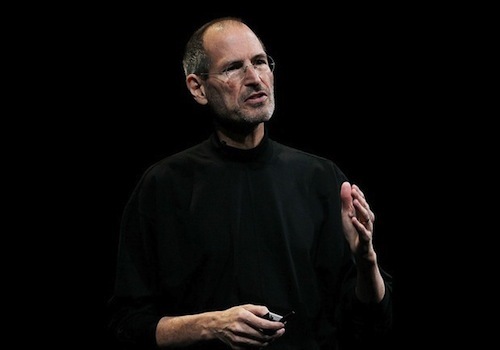 Steve Jobs had previously suffered from pancreatic cancer and had been thought to be been cured of the disease back in 2004. In 2009, Jobs took a six-month leave of absence and it was later revealed that he received a liver transplant. In January of this year, Apple announced Steve Jobs was taking another medical leave of absence with no timetable for his return.